The Chicago Transit Authority is moving ahead with an open-fare transit system after the Chicago Transit Board approved an agreement to implement the new system from Cubic Transportation Systems for $454 million. 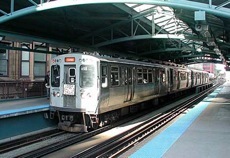 The board approved a contract to convert the CTA’s proprietary-fare system to an open fare system that will use contactless cards that use both financial and information security industry open standards technology. CTA patrons will be able to simply tap their contactless credit, debit and bank cards or CTA-branded prepaid cards on a card reader to board trains and buses. The technology is expected to be implemented in early 2014. The new system is intended to eliminate the multiple magnetic-stripe cards and the proprietary Chicago Card/Chicago Card Plus used for fare payments. Those without credit cards or debit cards will be able to purchase prepaid contactless cards at more than 1,000 new locations and cash fares will still be accepted on buses. The new system is expected to result in a savings of more than $50 million over the life of the contract, and will resolve the need to upgrade and maintain existing fare-collection equipment that is nearing the end of its life. Additionally, the contactless transaction is much faster than inserting cash or magnetic-stripe cards into fare equipment, which will speed boarding and improve service. The contractor will provide all of the fare-collection equipment, maintenance and support, and CTA will pay the cost via a base fee and a per tap transaction fee from revenue on a monthly basis. The CTA will maintain full control of fare policy, without the responsibility of day-to-day maintenance and collection activities. In addition to the cost-savings and efficiency benefits, the new fare system will also shift the risks associated with fare collection to the contractor, including credit/debit card processing fees, operating expenses and security breaches. The prepaid cards are envisioned to function like a regular bank-issued debit card, but purchasers will not be required to establish a traditional credit account. This CTA co-branded card—which could be used at any merchant that accepts Visa-branded cards—would provide users an option for both retail purchases and fare payment, with no fees for using transit or buying online transit products. The prepaid cards will be more readily available to customers, starting at 1,000 retail locations when the system launches and more than 2,000 when the system is fully implemented. Implementation will include a transition period in which all current fare media will be accepted, as well as an extensive public-education campaign. The new system standards could serve as a basis for a universal fare system among CTA, Metra and Pace. State legislation passed in 2011 mandates a universal fare system by 2015.